As the name suggests Artificial intelligence is simply an intelligence which is artificial. Means that intelligence is not natural as human possess, it is demonstrated by machines based on their learning experience and nature of development. In simple words, artificial intelligence refers to automatically adopted intelligence by observing the pattern of human activities and optimizing for its best fit. Health care – AI powered applications can provide personalized medicines and X-ray readings and even also personal health care assistance. Retail – AI provides virtual shopping capabilities that offer personalized recommendations. Manufacturing – AI can also benefit the manufacturing industry by forecasting expected demand and supply of products. Actually when algorithms are self-learning, the data itself can become intellectual property. The answers are in the data; you just have to apply AI to get them out. There are basically three types of ‘Artificial intelligence’ Weak AI, Strong AI, and Singularity. 1. Weak Ai – also known by artificial narrow intelligence is that type of intelligence which works best in some specific area, for instance, the air traffic control system works a thousand times better than human brains and can work in that direction only means not capable of doing other tasks such as defeating players in chess (because it is not meant for that). 2. Strong Ai (artificial general intelligence)- refers to that type of system which is on the same level as human brains for example robots. They can perform many day to day tasks just like humans based on their programming and management. 3. Singularity (artificial super intelligence)- refers to those robot systems which will learn and enhance their intelligence and may also create more robots like them in future. Python is on the top of the list for developing AI based machines and software. It is used because of its simplicity and easy coding behavior. It offers effortless prototyping and building of apps, great framework, open source libraries and modular programming. The main reason for mentioning prolog is that it basically revolves around those dedicated mechanisms which consist of small, flexible and well-built programming frameworks. Prolog is mainly used for logic-based development, expert system implementation, pattern matching and much more. Yes, java is also on the list because of it’s easy to use features. As we all know java is purely based on OOPS concept which makes the easy coding of algorithms covering the major part of AI. Java has strong libraries, easily usable and scalable it also has built-in garbage collection. The most important factor of using c++ in AI is its speed. It is probably the fastest language of all. Therefore speed is also the main concern of the developer of AI. C++ is fast, easy to learn, full of real-world implementations and much more. 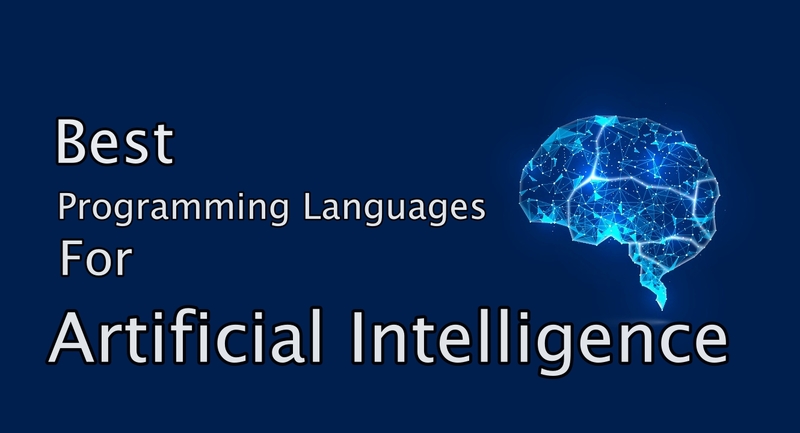 LISP (List Processing) is high-level programming language which is widely used by AI developers. it is highly extensible, supports rapid prototyping and garbage collection. Lisp is great prototyping tools as well. These were some of the best picks for Developing AI based software and machines, if you have any better suggestions please let us know in the comment section below.